WeÂ will assemble signs (staple and tape) to use at the Saturday protest. 2) Anyone who can help Saturday with peacekeeper activities or other logistic work is asked to come early, meeting at 12:30PM at the corner of 22nd Ave. and Lake Street, this is one block west of Lake & Hiawatha. 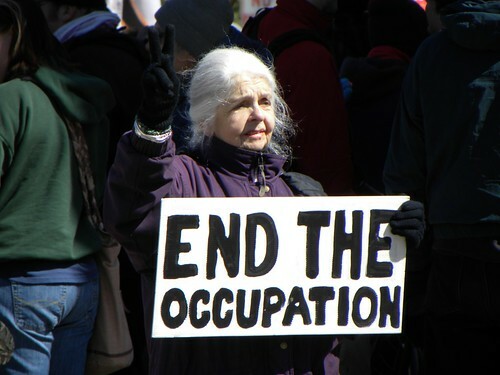 Obama:Â Stop the Attacks on the Anti-War Movement! President Obama is coming to MN.Â While heâ€™s here lets take our message to him directly and demand that he call off the grand jury and stop repressing the anti-war movement!Â Weâ€™ll be posting more details soon!Â Initiated by the Anti-War Committee.Â For more info go to antiwarcommittee.org or stopfbi.net. Agenda items will include: News updates; possible educational conference; Sept. 11th event (AWC initiated); National week of action/support for Bradley Manning; October 16th event; updates on October 2 Washington DC mobilization. Also on the agenda will be a discussion to see what we can do to respond to the plans announed yesterday for Obama to make a national speech next Tuesday evening (August 31) on the so-called “end of combat operations in Iraq.” In the past we have organized a group to view such speeches and invite press to come and get responses. Below are: 1) Upcoming IPAC meeting announcements and 2) Announcement for May 18 demonstration. Also, this coming Saturday there will be a committee meeting of people interested in building the July 23 – 25 National Conference to Bring the Troops Home Now to be held in Albany, NY. This will include helping to get the word out about the conference, fundraising and more. The Twin Cities Peace Campaign, Merriam Park Neighbors for Peace, Anti-War Committee and Women Against Military Madness are organizing a demonstration at the office of Representative Betty McCollum on Tuesday, May 18, at 4:00 pm, to call on her to vote against funding for the escalation of the war on Afghanistan. Out of Afghanistan â€“ Bring the Troops Home Now! Congress will soon vote on a $33 billion supplemental funding bill for the U.S. war in Afghanistan. The funds will be used to escalate the war, including an attack this summer on the Afghan city of Kandahar. Fourth District Congressional Representative Betty McCollum has made it clear that she intends to support this additional $33 billion for the war. The war in Afghanistan will not make the world safer; the escalation can only lead to more horrendous loss of life and increased hostility toward the United States. We hope you will join us on May 18 to let Representative McCollum know that the people of Minnesota do not support this war. We also ask that you call her office today to tell her to Vote “NO” on the $33 billion supplemental funding for the war in Afghanistan: 651-224-9191 (St.Paul) and 202-225-6631 (Washington, D.C.). For more information 612-522-1861 or 612-827-5364. Also, this coming Saturday there will be a committee meeting of people interested in building the July 23 – 25 National Conference to Bring the Troops Home Now to be held in Albany, NY. This will include helping to get the word out, fundraising and more. Agenda items will include: March 20 wrap-up; finances; news updates; actions called by TCPC in April around vote on Afghanistan war funding; name(s); and more. Below are links to coverage of the March 20 protest. Chs. 5, 9 & 11 each carried reports on their 5:00, 6:00 & 9:00 PM news, but have not posted the reports to their websites. Some radio coverage was also broadcast but is not available on websites. This week the planning meeting for the March 20 anti-war protest will be held on Sunday due to conflicting events on Saturday. The outreach committee will meet at 12:15. With the Obama Afghanistan war escalation speech occurring Tuesday evening, the plans that we have discussed at recent IPAC coalition meetings are being put into motion. There will be a news conference Tuesday evening right after the speech ends. A news release is going out inviting the press to the Mayday Bookstore at 7:00 PM. When the speech is over there will be very brief 1 (one) minute statements. The reporters will be in a big hurry to make deadlines, so we will need to be fast. After the news conference there will be a brief organizing meeting for the Saturday, December 5 protest. This meeting will deal with logistics, signs, banners, peacekeepers etc. 2) A leaflet is being prepared for the Saturday protest. Copies will be available at Mayday Tuesday evening. 3) An IPAC meeting had been set for this Saturday, December 5 at 1:00, with the understanding that if the escalation was announced, the protest would change the meeting time. The meeting will be held shortly after the protest ends. A location will be announced. agenda items will include: News updates; October 17 wrap-up; Afghanistan escalation action(s); Rethinking Afghanistan movie; March 20th anniversary date(s); and more. The Will to Resist: Soldiers Who Refuse to Fight in Iraq and Afghanistan. Surface parking lot at 1920 SOUTH 2ND ST, next to the U of M Law School. In late 2003, weary of the overall failure of the U.S. media to accurately report on the realities of the war in Iraq for the Iraqi people and U.S. soldiers, Dahr Jamail went to the Middle East to report on the war himself. Since then, he has become world-renowned for documenting the human cost of the Iraq war: the everyday violence and terror, the deterioration of the healthcare system, the shortages of clean water and the resulting rise in sickness, the lack of jobs and economic opportunity, the refugee crisis, and the detention and torture of civilians and resistance fighters. Through his uncompromised reporting and news photos, Dahr reveals a map of Iraqâ€™s misery and resistance, politics and everyday survival in the face of overwhelming military destruction. Most recently, he has covered the stories of U.S. soldiers resisting the wars in Iraq and Afghanistan. Sponsored by: Socialist Alternative, Twin Cities Peace Campaign – Focus on Iraq, and Mayday Books. Endorsed by: Anti-War Committee, Youth Against War & Racism, Iraq Veterans Against the War, Veterans for Peace, Iraq Peace Action Coalition, Students for a Democratic Society. For more information contact 612-522-1861 or 612 827-5364. 2) IPAc at our meeting yesterday endorse a protest planned by Anti-War Committee for this Thursday. There will be a Program Committee for the October 17 protest meeting at 12 Noon that day before the full coalition meeting. Agenda items for the 1:00 PM meeting will be October 17 plans and build-up. Foreclose the War Not People’s Homes! As people in the United States like Rosemary Williams fight to keep their homes, the US government continues to fund wars in Afghanistan and Iraq. Join with us as we demand the end of the US occupation of Afghanistan and Iraq and stand in solidarity with Rosemary, her neighbors, and fellow activists as they reclaim her home from GMAC. We say money for housing not for war! Co-sponsored by the Anti-War Committee, sds – U of M, and WAMM. Endorsed by IPAC. Agenda items will include News updates; Kathy Kelly visit event; October 17th protest; and more.